The initial decline from September 21, 2018 (2947) to 2316.75 is clearly in 3 swing. We label this correction as ((W))-((X))-((Y)) which in Elliott Wave is also known as a double three. We need to keep in mind that the structure of the selloff so far is not impulsive (5 waves). Thus, as far as the current data shows, it doesn’t support a major bear market. However, the current correction still has scope to extend lower, thus making it the biggest correction since 2009 low. As far key level at 2947 high holds, Index still can extend lower and break below 2316.75. 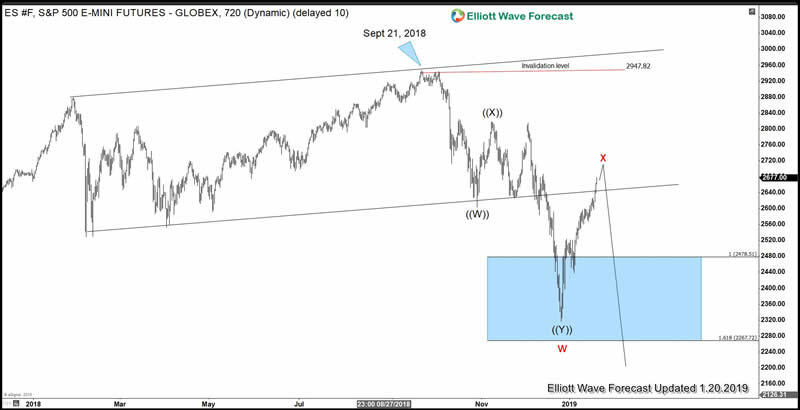 Potential target to the downside is 100% Fibonacci extension of the red w-x from September 21, 2018 high in-the 2000 area. ElliottWave-Forecast has built its reputation on accurate technical analysis and a winning attitude. By successfully incorporating the Elliott Wave Theory with Market Correlation, Cycles, Proprietary Pivot System, we provide precise forecasts with up-to-date analysis for 52 instruments including Forex majors & crosses, Commodities and a number of Equity Indices from around the World. Our clients also have immediate access to our proprietary Actionable Trade Setups, Market Overview, 1 Hour, 4 Hour, Daily & Weekly Wave Counts. 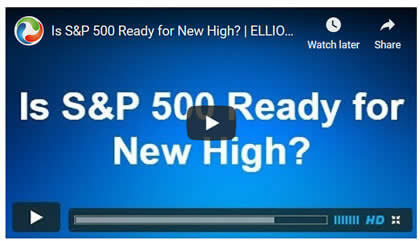 Weekend Webinar, Live Screen Sharing Sessions, Daily Technical Videos, Elliott Wave Setup . 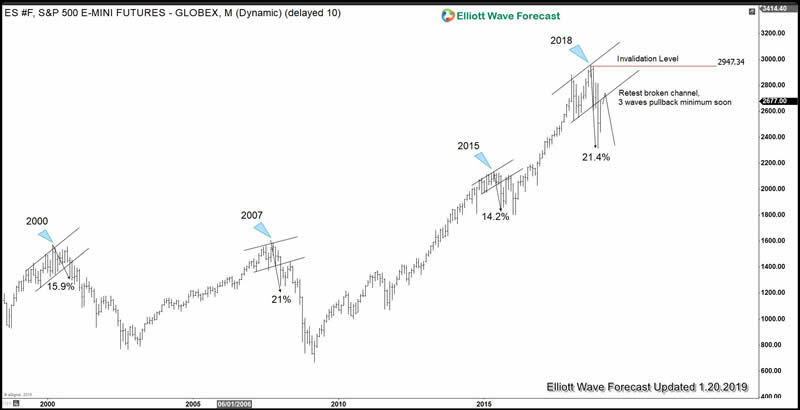 Copyright © 2019 ElliottWave-Forecast - All Rights Reserved Disclaimer: The above is a matter of opinion provided for general information purposes only and is not intended as investment advice. Information and analysis above are derived from sources and utilising methods believed to be reliable, but we cannot accept responsibility for any losses you may incur as a result of this analysis. Individuals should consult with their personal financial advisors.